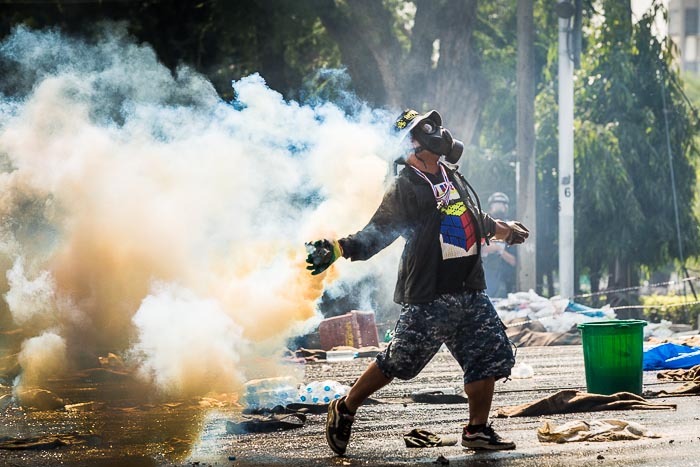 An anti-government protestor runs towards police lines in Bangkok to throw a tear gas grenade back to police. It's year in review time. A chance for photographers (and others) to look back on the year and consider what they've done and, possibly, what they hope to achieve in the coming year. 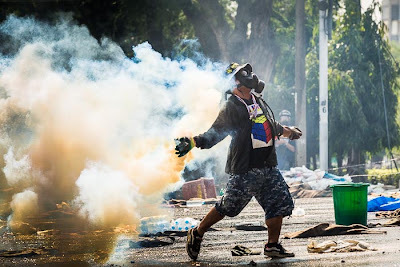 My year really got rolling with the cremation of King-Father Sihanouk in Phnom Penh, Cambodia, in late January and ended with political protests in Bangkok. The King-Father story is done, he is literally dead and buried. The Thai political story, on the other hand, is just getting started. 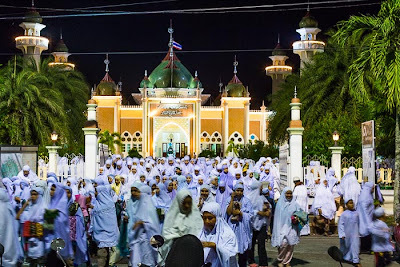 In between I covered stories in Yangon, Myanmar (or, if you're old, Rangoon, Burma), Laos, other stories in Cambodia, stories all over Thailand, and even a quick trip back to the US. 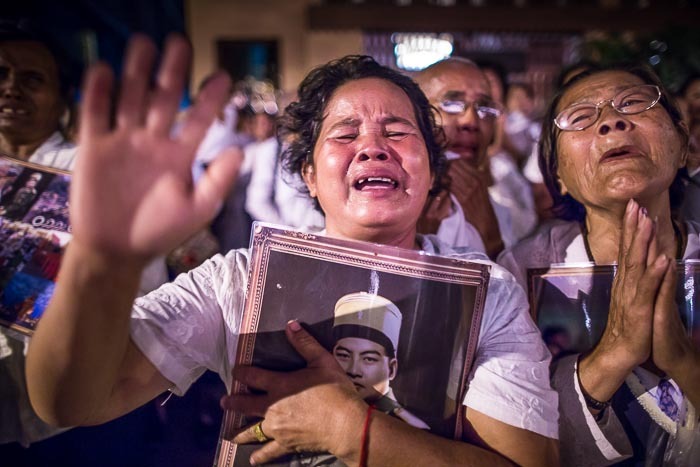 Cambodians wail in grief as King-Father Sihanouk is cremated in Phnom Penh in February. This year has probably been the most productive in my photographic life. I added more than 75,000 photos to my Lightroom archive and uploaded more than 12,000 photos to my PhotoShelter archive. It's hard for me to pick a single moment that highlights the year. In February witnessing Cambodians' collective grief at the cremation of King-Father Sihanouk seemed like it would be my single most vivid memory of the year. Then I went to Mae Sot, Thailand, and witnessed doctors from around the world trying to save the lives of people stricken with drug resistant malaria. 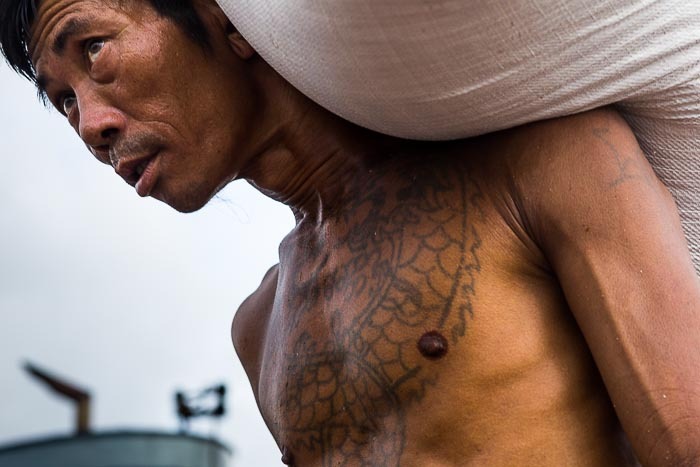 A Burmese stevedore carries a bag of rice off of a river freighter on the Yangon docks. Then I went to Yangon, a city that provided vivid memories at almost every intersection. Then it was back to Cambodia for a terrific workshop experience. The year ended in Thailand, in the midst of political conflict that I am afraid is becoming the new normal in this amazing country. Muslim women leave Ramadan services at Pattani Central Mosque in southern Thailand. One thing I am sure of. I am incredibly lucky to be able to do something I love, in a place that challenges me every day. I can't pick out one highlight from a year that was chock full of highlights. I don't know what the coming year holds for me (or Thailand) but whatever it is, it will be a great adventure.